← Where in the world was “A Wandaful Thing”??? I am sure I am not alone when I say I buy things with good intentions of doing something with them. This was true when I purchased flowers and plants in pots from my local greenhouse and Costco that I intended on putting in a flower bed. 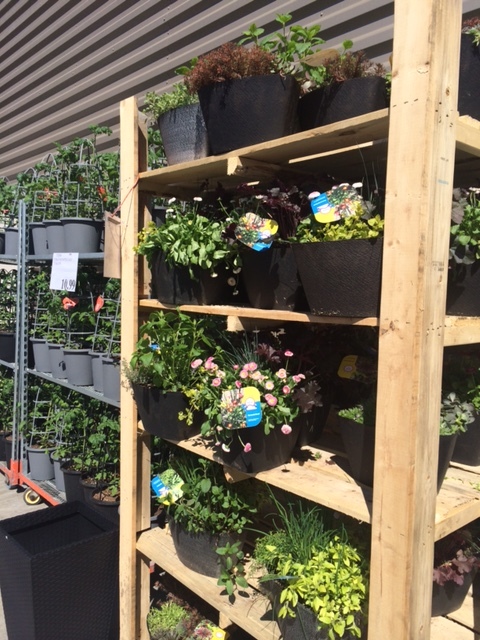 As you can see there were lots of plants to choose from. These found their way in my cart!!! I had no planter pots to put them in so I did the only thing I know how to do -IMPROVISE. Since I collect and sell vintage trinkets, treasures and fun things, I didn’t have to go far to find something I could use as a planter. 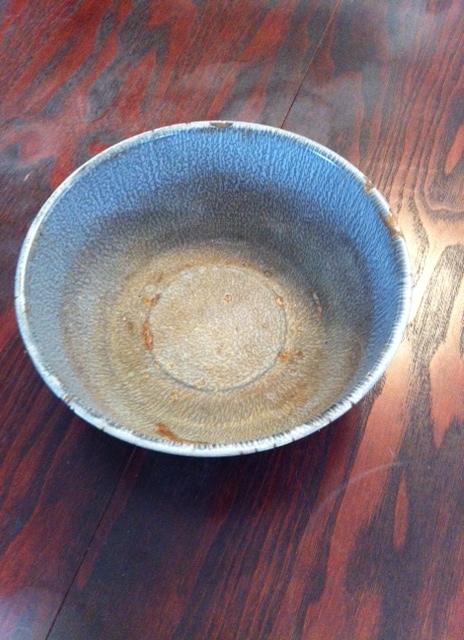 I choose an old bundt pan, an old angel food pan and a vintage agate gray enamel bowl. 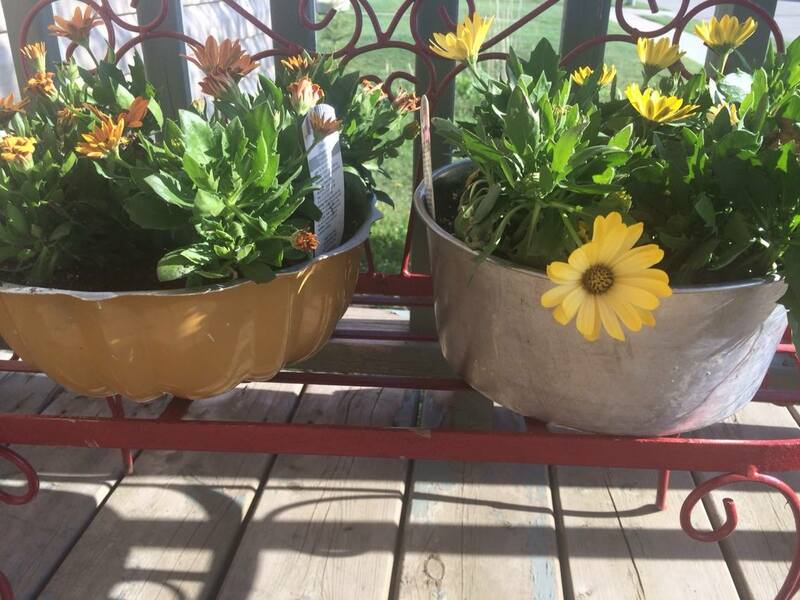 The hubs drilled holes in the baking pans but I opted not to put holes in the vintage enamel bowl (after all I have ideas for it when the blooms are all gone (stay tuned – you will see it again in my bathroom update)). I put rocks in the bottom of the enamel bowl before filling with soil to allow some sort of drainage. 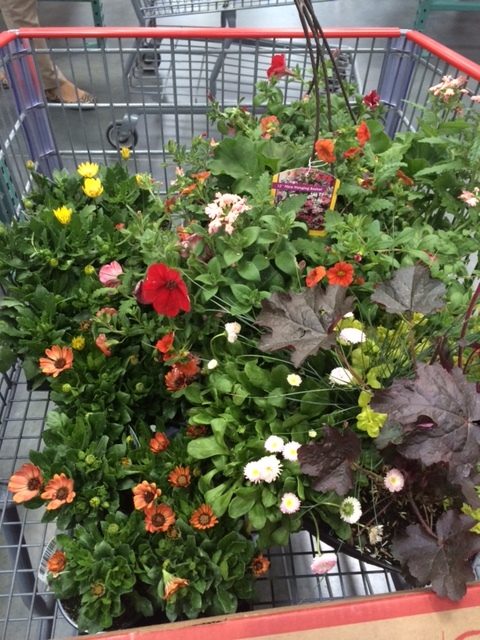 The pans were filled with soil, plants added, all were well watered and I am still enjoying the blooms. 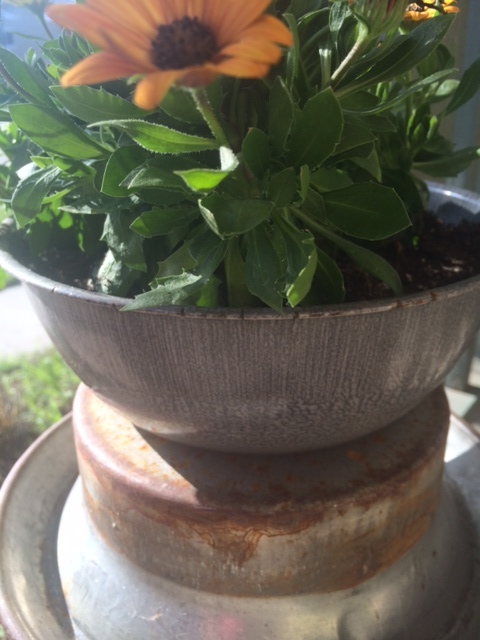 Finding new ways to use old things….It’s A Wandaful Thing!!! This entry was posted in Decorate, Pinterest and tagged antique, challenge, cheap, creativity, Decorate, DIY, easy, happy, ideas, inexpensive, living, recycle, repurpose, reuse, simple, vintage. Bookmark the permalink. Thanks Kathleen. This year I am planning on planting in an old wringer washing machine…I will be sure to share. So original. I love the shape and colors of the bowls with the flowers. Will be looking for old vintage bowels now for next year. Thanks.